A recent review of the pregnancy film What to Expect When You’re Expecting observed that it conforms to the ‘frat house movie of the 1980s’ genre in its focus on unruly bodies and leaking body fluids such as vomit and urine (http://tinyurl.com/6wxpf8x ). This film joins a long line of cinematic representations of pregnant women as ruled by their hormones, emotionally volatile, permeable and altogether departing from the conventions of orderly embodiment. The pregnant woman who cries, loses her temper, eats strange things or eats excessively, balloons to huge proportions and experiences her waters breaking in public have all become stock-in-trade images of pregnancy in popular culture. These depictions of pregnant women conforms to a general societal view that women in general, and pregnant women in particular, are emotionally and physically unstable. 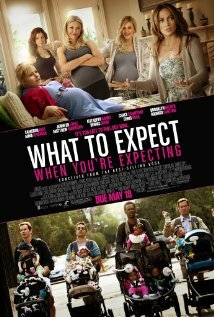 The film’s trailer features one of the pregnant women crying on a television show, saying ‘I have no control over my body or my emotions’, something that clearly distresses her. Control over one’s embodied self is a central dimension of contemporary western societies. The contained, tightly controlled body is privileged over what is viewed culturally as the unregulated, uncontained, excessive body. Pregnant women and women in childbirth are the archetypal uncontained bodies, leaking and permeable both literally and symbolically. Pregnancy is a highly culturally ambiguous state. The pregnant women is an anomaly because of the ways her body transgresses boundaries between self and other. She is, for a time, two bodies in one, a state experienced by no other human body. Women often experience pregnancy as a time in which their bodies no longer seem to belong to them. Pregnant bodies are seen by others as no longer private: they become public bodies, viewed as public property. Other people constantly make observations about pregnant women’s size and monitor pregnant women for their behaviour to ensure that they follow what is deemed to be appropriate for their own health and that of their baby. Pregnant women also express concern that their bodies will let them down in public places by leaking inappropriate body fluids: vomit due to morning sickness, for example, or their ‘waters’ (amniotic fluids) breaking. They all too aware of the public censure and disgust which accompanies such loss of control. Many feel as if they should withdraw from public space because of self-consciousness about their bodies, physical discomfort, concerns about losing control over their bodies and the difficulty of conforming to expectations of how a ‘proper’ pregnant woman should comport herself (Longhurst, 2005). The age of the first-time pregnant woman can make a difference to how she feels about her pregnant body. British research (Thompson et al., 2011) using interviews with women from a wide range of age groups found that for younger women (aged under 25) pregnancy was seen by many as part of their youthful capacities, the body as taken-for-granted youthful femininity, part of their physical capital. Their pregnant bodies may also have been viewed as a source of shame, however, something that others judged them about because they were pregnant so young. For women in the age group 25 to 35, the body and maternity was a more self-conscious project. They were often aware of their lessening capacity to become pregnant and of the need to juggle career imperatives with maternity, involving much forward planning. Older women (those aged over 35) still sometimes viewed their bodies anxiously as vulnerable, unruly and likely to let them down, particularly if they had previously experienced fertility problems or miscarriage. Interestingly, at a time in which the pregnant body is viewed as deviating from the norm in its inability to contain and regulate itself, it is also portrayed in popular culture as valuable, precious and a state to be aspired to: the apotheosis of true womanhood. This is particularly the case for celebrities who are pregnant and for the models who feature on pregnancy magazines and websites, glowing with health and radiating ‘natural’ beauty. These pregnant women are positioned as ideal-type pregnant women, with nary a varicose vein, stretch-mark or morning-sickness vomit stain in sight. Such women seem to have contained their permeability, their tendency towards bodily uncontainment, through sheer will-power. They are particularly esteemed if they have managed to control excessive weight gain during their pregnancy, suggesting their ability to exert power over any pregnancy-related cravings or appetites (Gentile, 2011). Such pregnant women are viewed as especially virtuous because they have managed to tame their unruly bodies at a time when it is expected that the body is very much in control of the self. Gentile, K. (2011) What about the baby? The new cult of domesticity and media images of pregnancy. Studies in Gender and Sexuality, 12(1), 38–58. Longhurst, R. (2005) Maternities: Gender, Bodies and Space. London: Routledge. Lupton, D. (2012) Configuring Maternal, Preborn and Infant Embodiment. Sydney Health & Society Group Working Paper No. 2. Sydney: Sydney Health & Society Group. Available at http://hdl.handle.net/2123/8363. Thomson, R., Kehily, M.J., Hadfield, L. and Sharpe, S. (2011) Making Modern Mothers. Bristol: The Policy Press.